?How Can An MRI Be Used To Diagnose My Brain Injury? Most Common Symptoms of a Skull Fracture There are different types of skull fractures but typically someone who has one begins to manifest symptoms. Find out what the most common symptoms are. Uncomplicated fractures like linear fractures rarely produce any neurological injury. However, others can lead to intracranial hemorrhaging, epidural hematoma, venous sinus thrombosis, and cerebral edema, which is a common complication of any head injury. In children, brain swelling may be the only identifiable symptom of a head injury. 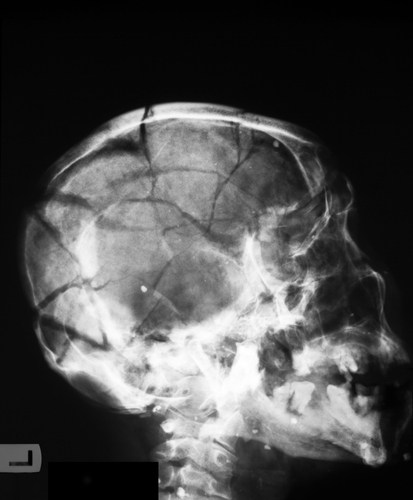 Skull fractures are more common than you may think. Up to 24% of all head injuries are skull fractures and they account for 2% of all trauma related injuries. If you sustain a skull fracture, expect to have headaches, feel tired, and have poor concentration for a few weeks. Complications and recovery will depend on the severity of the fracture and any corresponding brain injury. For a period of time you might not be able to drive or work. If at any time during your recovery your symptoms worsen you should go and see your doctor right away. At Jim Dodson Law we want you to make sure to take care of yourself and monitor your symptoms so you can have a speedy recovery. If you or a loved one has suffered a skull fracture resulting from an accident, feel free to contact us. For additional information about brain injuries check out our Layman’s Guide to Brain Injuries which is available on our website. Have You Suffered A Brain Injury Due To An Accident? If you've suffered a brain injury following an accident you should speak with an experienced brain injury attorney as soon as possible. Contact us online or call our office directly at 727.446.0840 to schedule your free, no obligation consultation.